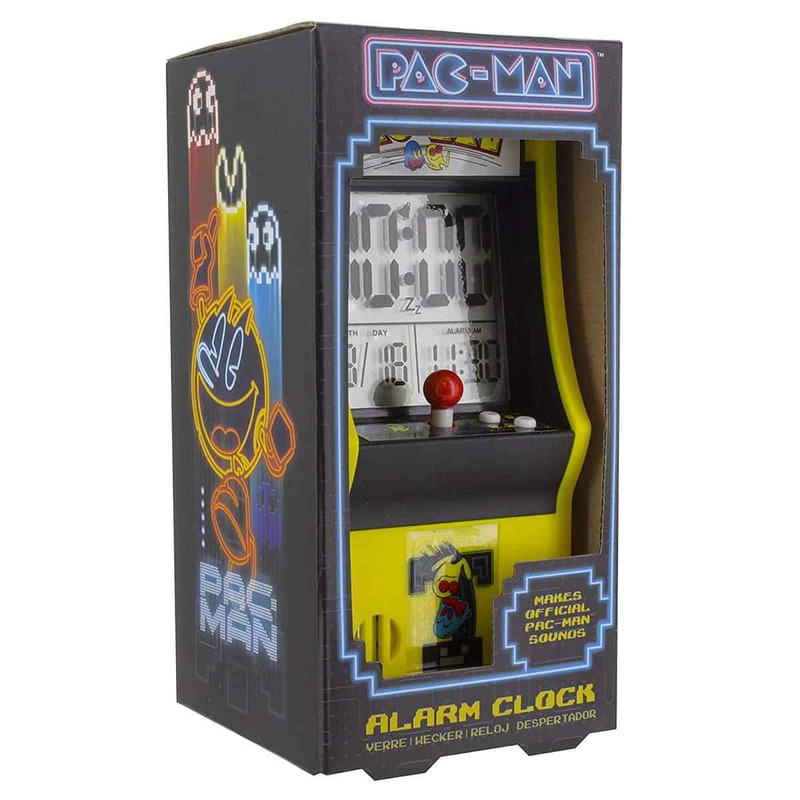 Power-up in retro style each morning with this ultra-cool PAC-MAN Arcade Alarm Clock! 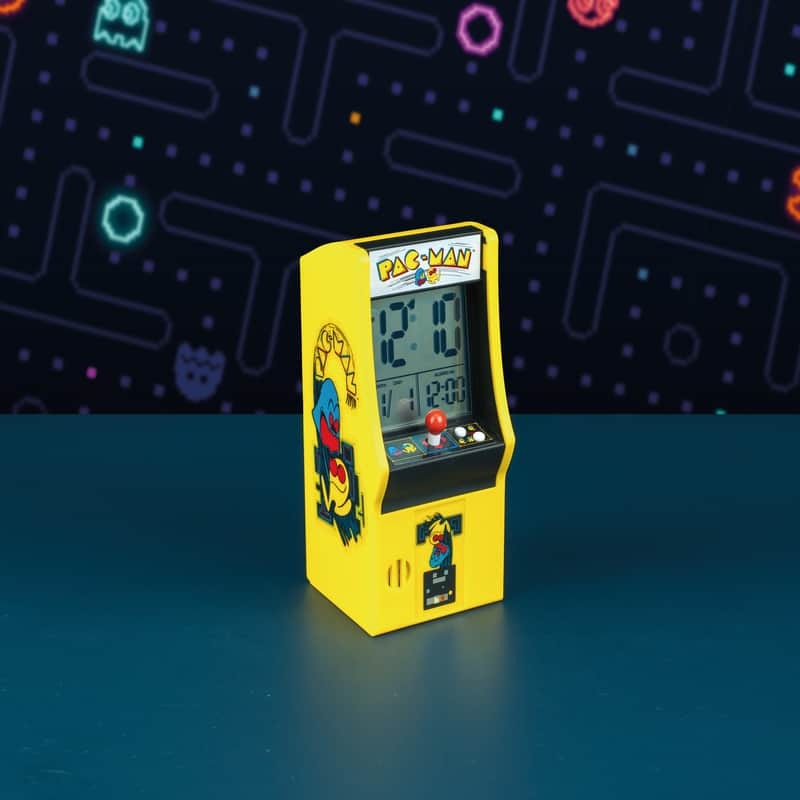 A battery powered alarm clock designed like an iconic PAC-MAN themed arcade machine, the alarm clock features time and date display as well as playing original PAC-MAN gameplay sounds. 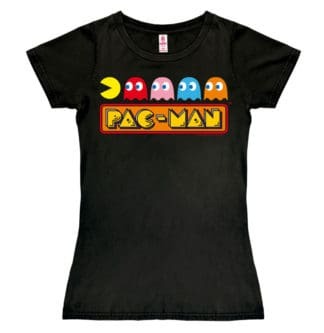 First launched in 1980, PAC-MAN was one of the most influential arcade games of the decade. 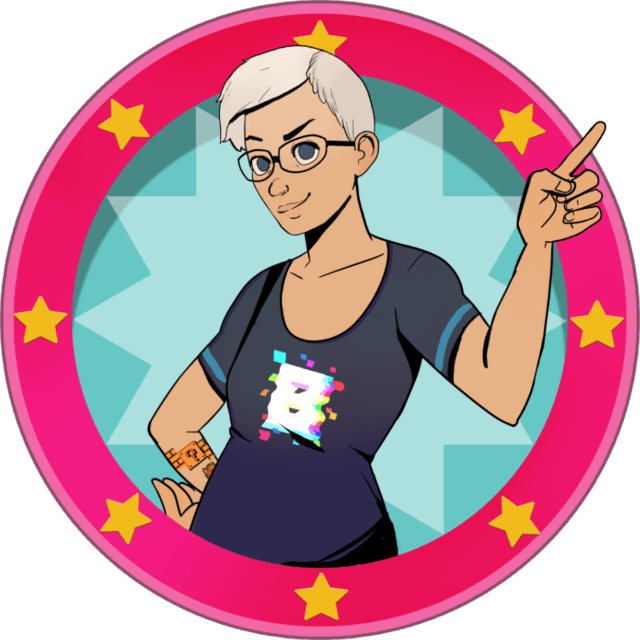 Featuring the iconic pizza shaped hero (based on the Japanese character for mouth), the game established the trend for a mascot led gaming franchise, and the character soon became an instantly recognizable icon of popular culture. 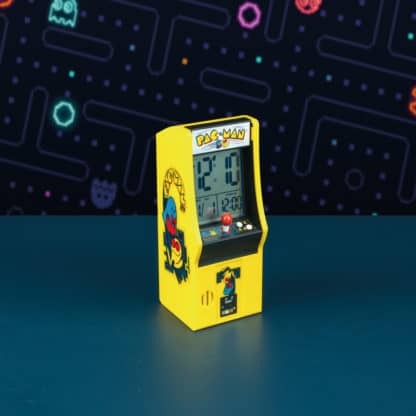 Starting from a simple premise of collecting pellets around a maze (whilst being pursued by the four intrepid ghosts of the game – Blinky, Pinky, Inky and Clyde), the game has remained popular ever since, spawning numerous sequels, remakes and spin-offs, and is a much treasured classic by gamers young and old alike. 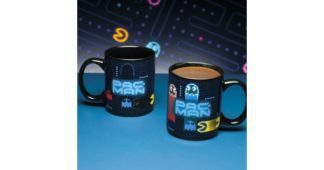 Great for fans and gamers, the PAC-MAN Arcade Alarm Clock is an ideal gift solution for birthdays, Christmas stocking fillers or even the office Secret Santa, and is an officially licensed product. The alarm clock is powered by 2 x AA batteries (not included). 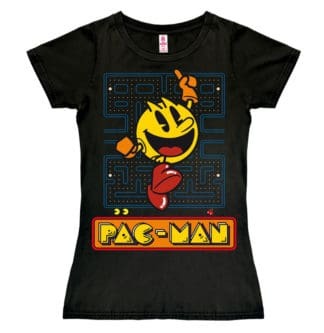 SKU: a48d8860-fb04-11e8-bd0c-ed41245c4d2f Categorieën: Gadgets, Lifestyle, Overige, Game Merchandise, Overige Tag: Pac-Man.